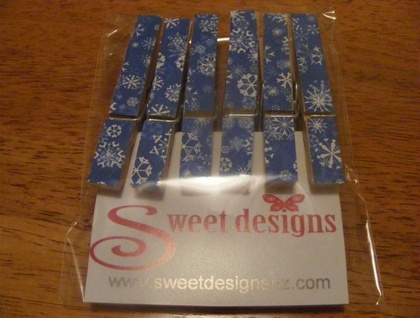 These lovely pegs are hand decorated with quality paper and have strong magnets on the back. 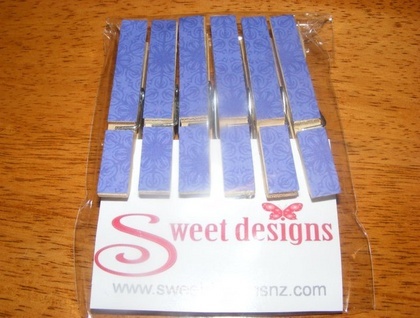 They will brighten any fridge at the same time as helping to keep it organised. 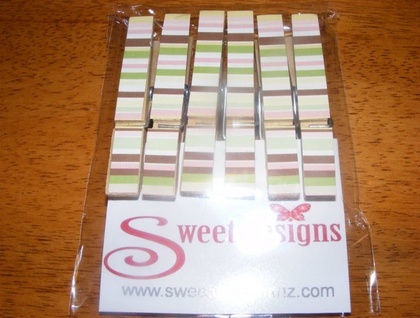 They are also great for magnetic notice boards in your office or study. 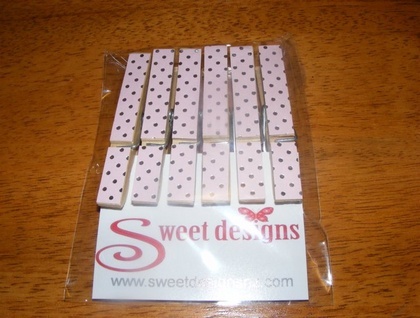 Choose from Candy Stripe, Purple Patterned, Silver dots on Pink & Snowflakes.